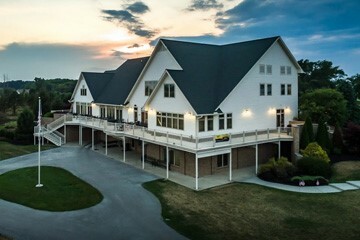 ﻿ Stone Ridge Golf Club - Ohio. Find It Here. Stone Ridge Golf Club is an 18-hole, Arthur Hills design public golf course set among 150 acres of rolling terrain. Ranked the 8th best public golf course in Ohio, we are the premiere facility for corporate and charitable golf events in Northwest Ohio. We are open 7 days a week and have become the top public golf course in Northwest Ohio. Experience great course conditions, an amazing practice facility, and full service restaurant with daily specials all week.